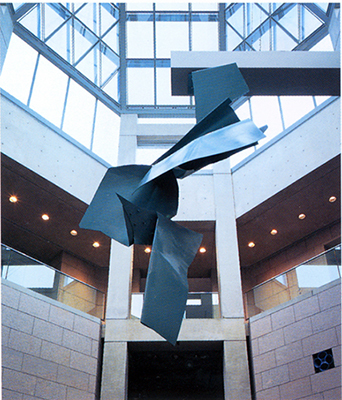 Innovation and clarity of vision have marked Robert Murray’s practice since the early 1960s, making him one of Canada’s foremost sculptors. 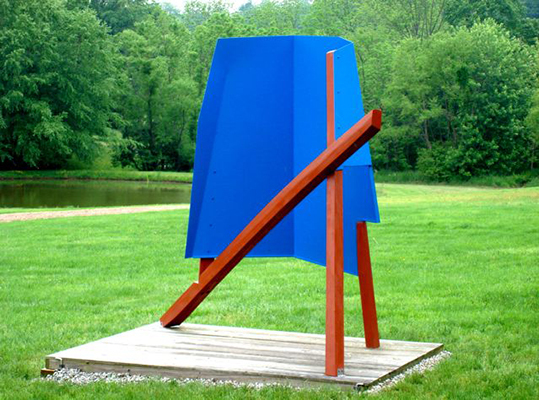 His iconic, brightly coloured steel sculptures dot the North American landscape, and form a significant contribution to postwar debates on abstraction, industrial fabrication, and public art. In 1969, Murray represented Canada at the Sao Paulo Biennial, winning second prize. 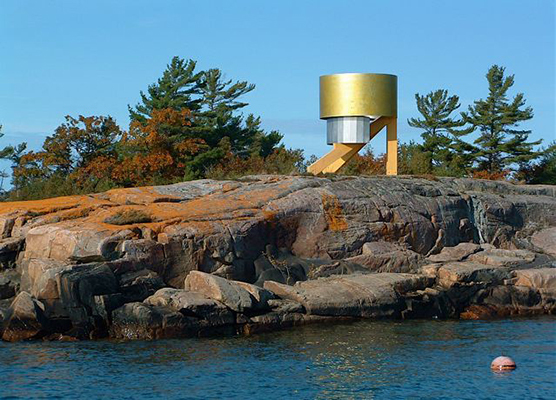 Thirty years later, his expansive output was recognized in a solo exhibition at the National Gallery of Canada, Robert Murray: The Factory as Studio, and in 2000 he was awarded the prestigious Order of Canada. Major institutions hold his works, including the Art Gallery of Ontario, the National Gallery of Canada, the Los Angeles County Museum, the Metropolitan Museum of Art, and the Whitney Museum of American Art. Murray was raised in Saskatoon, and studied at the University of Saskatchewan’s Regina College School of Art, also attending the legendary workshops at Emma Lake led by Jack Shadbolt, Barnett Newman, and Clement Greenberg. In 1958 he received a grant to study at the Instituto Allende de San Miguel in Mexico, and in 1960 he travelled along the Pacific Northwest coast; exposures to new landscapes and cultures that shaped his developing aesthetic. They sparked an interest in Pre-Columbian and Indigenous art, common ground with Newman that made for a close and influential artistic friendship. 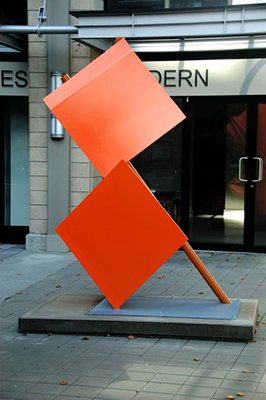 Murray settled in New York in 1960, an exciting time for abstract sculpture, pioneered by David Smith and Alexander Calder. Enthusiastic support from influential dealers – Betty Parson in New York and David Mirvish in Toronto – established his presence and led to many important public commissions. 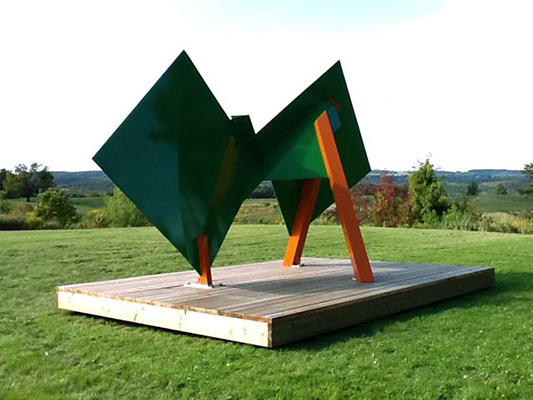 Murray’s sculptures are most renowned for the use of bright enamel and steel sheeting – dynamic gestures that actively create space and consider the individual viewer. His use of colour calls attention to the effects of light and shade in a painterly way, creating a lively tension between surface and volume. 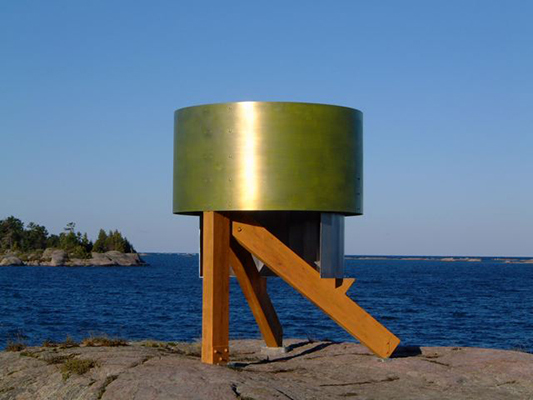 When placed in landscapes, the sculptures acutely affect viewers’ perceptions of the surroundings. 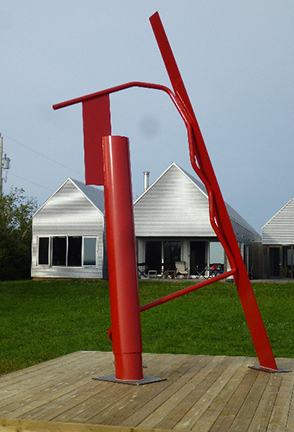 One of Murray’s earliest forays into nature was Ferus (1963), a bright red form that began his “cylinder and plank” series, installed on the rocky shores of Lookout Island to which he continues to return each summer. 120" x 110" x 86"
120" x 121" x 76"